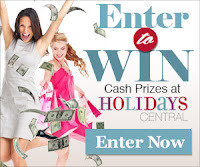 Browse » Home » Giveaways » Amazon $25 Gift Code Giveaway - Join Swagbucks! Amazon $25 Gift Code Giveaway - Join Swagbucks! Have you ever heard of Swagbucks? They're a completely free, no strings attached site that rewards you for all of the things you're already doing online. 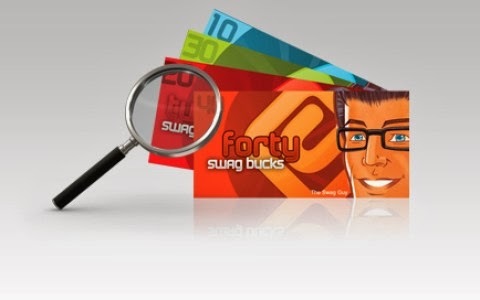 Search, Watching Videos, Playing Games, Taking Surveys, Shopping and more - as you do these activities, you'll earn Swag Bucks, which are reward points that you can redeem for all sorts of gift cards in the Rewards Store. You can download their toolbar or download their OS and Android apps for more opportunities to earn. Choose the activities you like or have time for - how much you earn is up to you! I've used Swagbucks for a couple of years and so far I've earned almost 75,000 Swag Bucks, enough to purchase over $800 in Amazon gift cards. You can do the same! For their birthday, Swagbucks is kicking off their Birthday celebrations a month early with a big referrals promotion. From Jan 21 to Feb 25th each new person who signs up as your referral allows you to earn 10% of the Swag Bucks that they earn! Not just in Search wins like before but in almost every earning opportunity! Here’s the best part - you’ll continue earning 10% of their earnings FOR LIFE! So join Swagbucks, then encourage your friends and family to do the same! To help celebrate, Frugal Follies is hosting and sponsoring a giveaway for a $25 Amazon gift code! I earned this gift code on Swagbucks, and now I'm sending it to one lucky reader! The giveaway is open worldwide and ends on Sunday, February 16, 2014. To enter, use the Rafflecopter form below!